Newly-released New Zealand High Court documents reveal that the Kiwi agency’s spying on foreigners in the FBI-led Megaupload investigation was found to be unlawful. 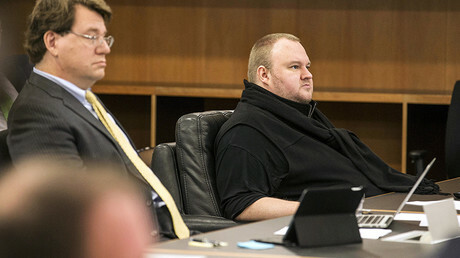 Kim Dotcom team’s lawyers argue the illegal spying makes the entire extradition case void. Lawyers for the Megaupload executives, including Megaupload founder Dotcom, on Friday called for extradition proceeding against their clients to be dismissed. The finding is significant as it was previously assumed that Batato and Ortmann, unlike Kim Dotcom and Bram van der Kolk, were valid surveillance targets because they were not New Zealand citizens or residents. “The circumstances of the interceptions of Messrs Ortmann and Batato’s communications are Top Secret and it has not proved possible to plead to the allegations the plaintiffs have made without revealing information which would jeopardise the national security of New Zealand,” the GCSB stated, according to the court files. “As a result, the GCSB is deemed to have admitted the allegations in the statement of claim which relate to the manner in which the interceptions were effected,” the court document concludes. All four men are currently appealing their extradition order to the United States. The firm also questioned if parliament was aware of the extent of the agency’s unlawful behaviour before legislation was amended to broaden the GSCB powers to spy on New Zealanders. Kim Dotcom’s lawyer, Ian Rothken, told the Inquirer that Dotcom’s extradition case should now be dismissed in the interests of justice. Attorney for Ortmann and van der Kolk, Grant Illingworth, told Ars Technica that Ortmann’s successful challenge of the spying operation calls the legality of the whole surveillance operation into question. “We now believe on the basis of this judgement that the GCSB were acting outside their powers even in relation to a foreign person—because if they were entitled to spy on [Ortmann], GCSB would have denied the allegations,” he said. Kim Dotcom tweeted following the release of the judgment suggesting that the next step was to establish the NSA’s role in the illegal spying. In July 2017, another court ruling found that the GCSB had been spying on Dotcom for two months longer than had previously been known. The agency claimed, however, it had no idea it was still spying on Kim Dotcom for months after officially ending its operation, according to court documents.